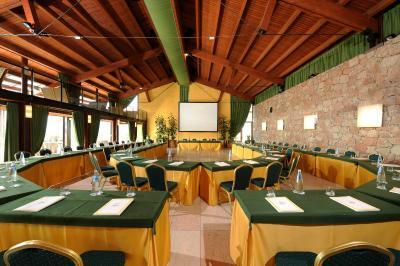 The room was nice and clean, staff was friendly and helplful. Definitely a family hotel. Location was good and one can easily reach other places, parking was good too as there is ample space plus it is very safe. We stayed for a short three days but food was great at breakfast, and all staff were brilliant. We stayed in room 272 (far end of the resort) and the view was breathtaking! The facilities are fab and we have nothing negative to report! Will definitely be back in the future. 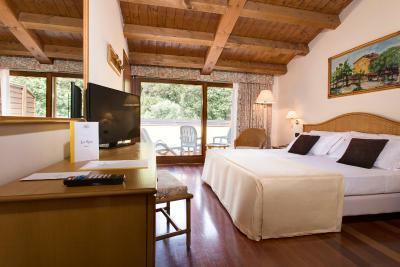 Big rooms with comfortable beds. 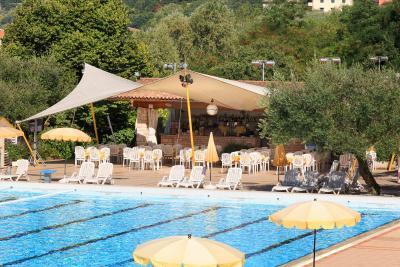 Located in a quiet area, but still close to Garda and other villages. Well-geared to handle big groups in the restaurant. Lovely views across the lake and the welcome drink was a nice touch. so much to do with kids,, pool good but a bit too busy. lake is a little way away. 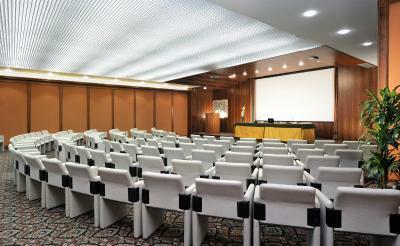 Huge room, very high end feel! Very nice bathroom, large and clean. Views are spectacular (your on top of a hill). Lots to do at resort - beautiful pool! Friendly staff! Nice View - A lot of activities, Room was big. Parking in Resort was good. The room was spacious. Amazing views. Great frequent bus service to Garda. 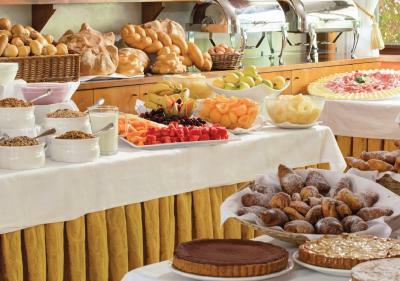 Breakfast buffet had a good selection. 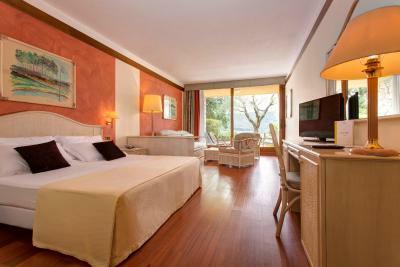 Poiano Garda Resort Hotel This rating is a reflection of how the property compares to the industry standard when it comes to price, facilities and services available. It's based on a self-evaluation by the property. Use this rating to help choose your stay! 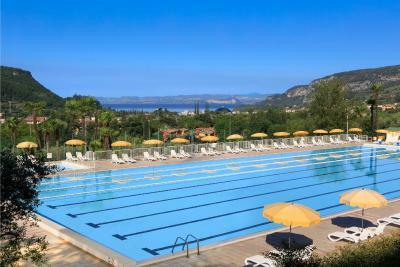 Set on a hillside in Garda, Poiano Resort is surrounded by 60 hectares of greenery and features an olympic-size pool, 6 clay tennis courts, and a gym with personal trainer. It offers a wellness center, restaurants, and a free seasonal shuttle service to the center. All air conditioned, the rooms come with a balcony, satellite TV, and a private bathroom with a courtesy set and a hairdryer. 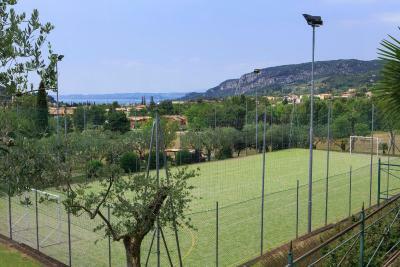 Some have views of Lake Garda. 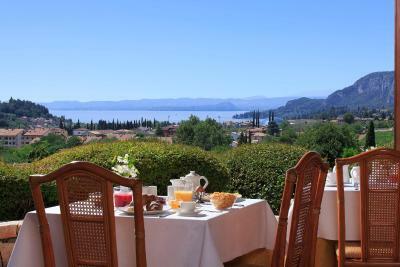 Served on the terrace in fine weather, breakfast is buffet-style including fresh croissants and fruit. 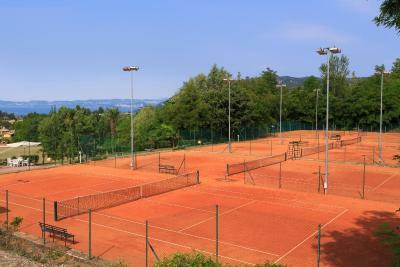 The resort's extensive sports facilities include a five-a-side football pitch, a beach volleyball court, and private tennis lessons. Children can also enjoy the playground and miniclub service. 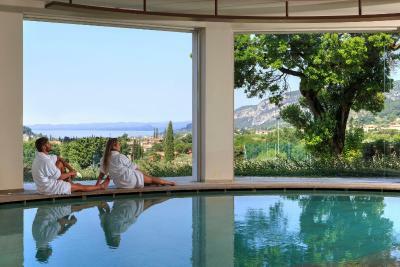 The spa is complete with a Finnish sauna, sensory showers, a Turkish bath, and a salt-water hot tub. You have discounts at partner golf courses located nearby. 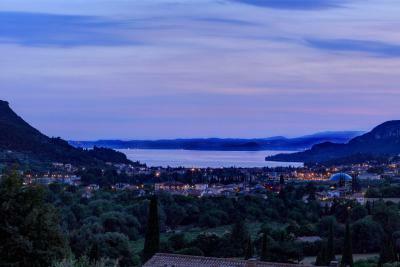 Garda town center is 1.2 mi from the resort, and Verona Airport is reachable by car in 30 minutes. 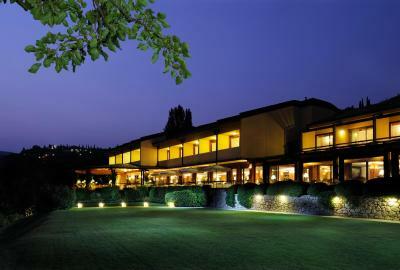 When would you like to stay at Poiano Garda Resort Hotel? Room with private bathroom, air conditioning and satellite TV. 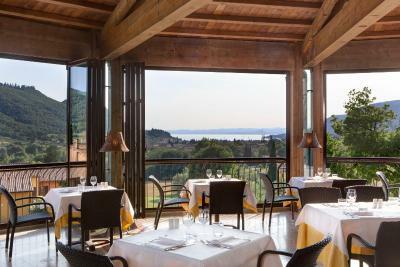 Includes a private balcony overlooking Lake Garda. 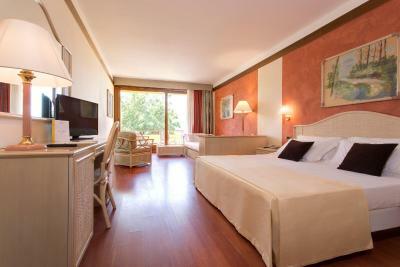 Room with attached bathroom with balcony, air conditioning and satellite TV. Room with attached bathroom with seating area, air conditioning, and satellite TV. Features a balcony or terrace. Please note that the Junior Suite can accommodate extra beds. Please note that this unit is located in the annex, 656 feet from the main building. 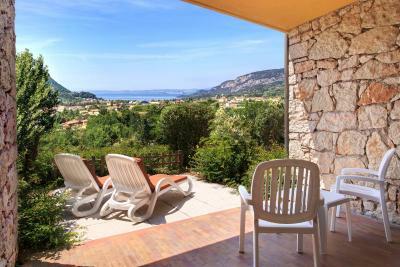 Spacious air-conditioned room with full lake views and a furnished terrace or balcony. The bathroom comes with a bathtub and shower, hairdryer and toiletries. Facilities include a satellite TV, mini-bar and safe. Please note that this unit is located in the annex, 656 feet from the main building. Can accommodate 2 children up to 17 years of age. 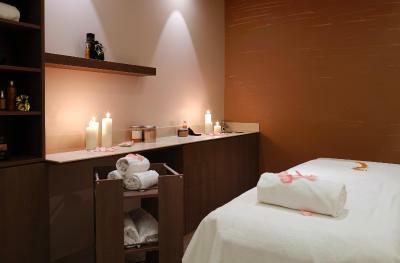 Includes 2 entrance tickets to the 3-hour Wellness Path of Poiano Spa, a spa kit with bathrobe, towels and slippers and 30% off on all massages and treatments. This air-conditioned apartment comes with a kitchenette and a private bathroom with a shower. 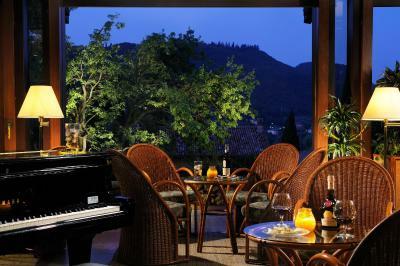 The private terrace is furnished. 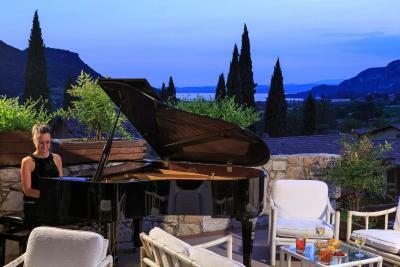 House Rules Poiano Garda Resort Hotel takes special requests – add in the next step! 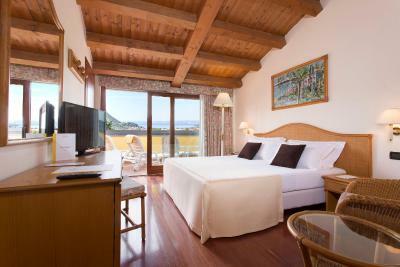 Poiano Garda Resort Hotel accepts these cards and reserves the right to temporarily hold an amount prior to arrival. Please note, access to the spa comes at extra charge. 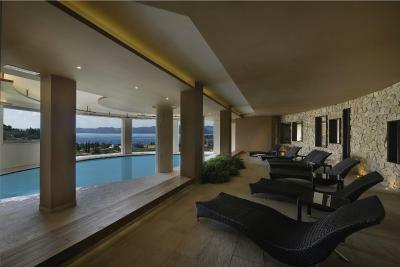 Only guests aged 18 years and over can access the spa. Room was above the bar and there was a constant smell of smoke coming through the vent in the wardrobe - where we had hung our clothes to go to our friends' wedding. Room was not clean - dust and grime on the floor and walls and a broken stool in the bathroom. Food was average and staff were not particularly friendly or welcoming. Was not what we expected for nearly 500 euros for 4 nights. Good location and beautiful view of the lake. No negatives - but I would recommend hiring a car! The parking area could become very congested in a busy period. Nothing else to add. We enjoyed our stay. one waiter was rude and obviously didn't like the look o us! Sometimes strange smell around the place. Quite big and crowded resort. 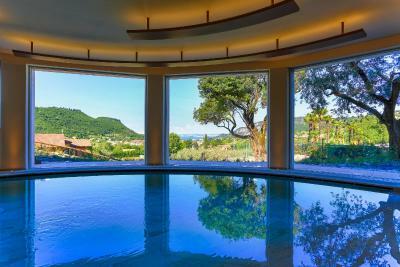 Great swimming pool and view. Dinner was very poor and the food was not that good. The quality of the swimming pool's water ruined my swimsuit and my watch too. At the check in no one showed us to our rooms which are very far from the central building. 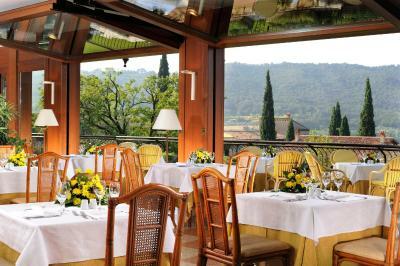 The location is amazing and breakfast was very rich. Rooms were tidy and neat. We had the same bedsheets for four days!!! Far away from lake to walk. Room was a bit dirty. Pool is more for familys. We were so far from everything where we were located. It was a huge sprawling impersonal hotel. The pool area was not great, quite dirty and 2 female toilets for the entire pool is ridiculous. Not for us I'm afraid. The accomodation: have to be renewed, also it needs a refresh. Location & food in general.